Make It Worry Free. We cover every detail from "seating" music through "I Do". Reviewed and discussed during your in-person meeting. Simple, Easy and Worry Free. About 30 minutes of background "seating music" is done as guests arrive. Then perhaps 3-5 songs during the ceremony, of your choosing. 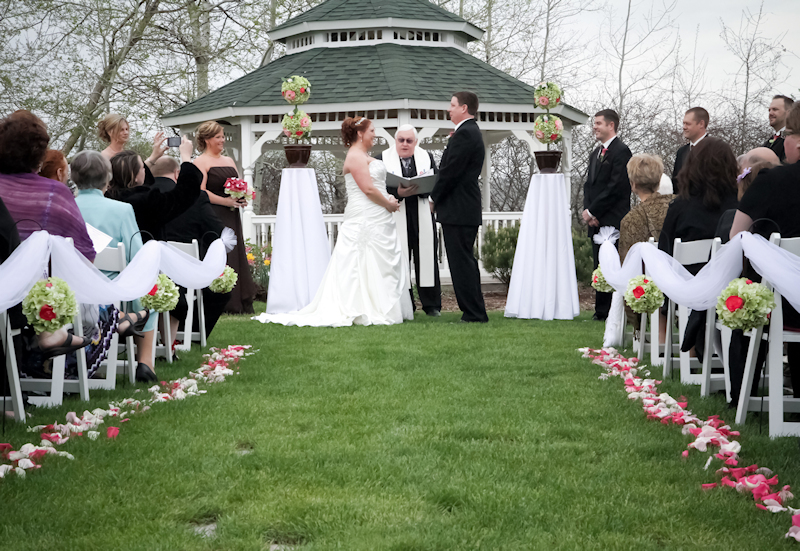 We have multiple types of wireless microphones including handheld, bodypacks, and lavaliers so that your crowd can hear the officiant, vocalists and readers. It is seamlessly mixed together by our sound technician to provide a crisp and clear live sound for everyone to hear. 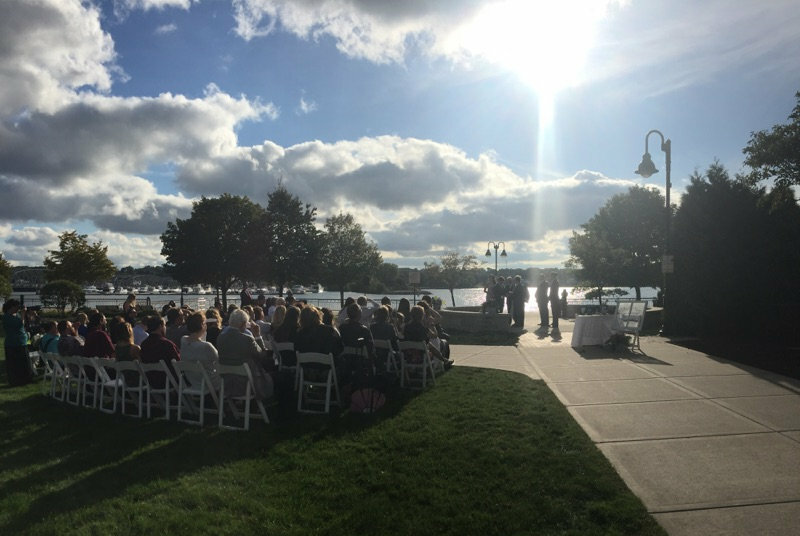 Your ceremony might be in an adjoining ballroom or terrace to the main reception area or outside on a lawn or in a gazebo type area. It may be at a totally different location than your reception. In any case, we can do the ceremony even if there is NO power available, while being totally silent without a generator. Your ceremony can be done as a stand-alone service, even if we are NOT providing our DJ Services. Our services can provide cost savings over live musicians while allowing a wide and varied song selection beyond live musicians. 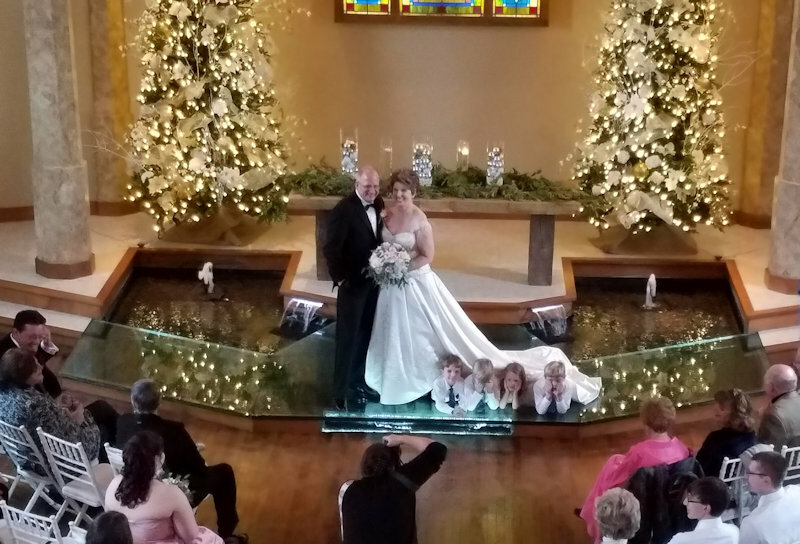 We can even utilize the WEDDLive system to capture the ceremony from beginning to end. Extensive planning is the foundation of it all. Getting your vision on paper, then meeting to go through details. It assures everything goes smoothly. Our sound technician will be there to make sure the sound stays clean and smooth. The music and multiple microphones all controlled in sync. Clarity for all to hear. If the ceremony is in a remote location, and there is no electricity, don't worry. We can do the complete ceremony without power and without any sort of generator. You can hire us to do the complete ceremony, without our DJ Services. Having us involved in BOTH allows you to deal with one less vendor and keeps the whole day flowing.